The Gateway to Industry program was implemented for the first time among participants from abroad, a group of youth aged 15-19 from the Diaspora. The young people who came to Israel as part of the Free Spirit program , implemented in memory of First Sergeant Sean Carmeli, z”l, who fell in Operation Protective Edge. This therapeutic- educational program promotes empowerment, leadership development and personal fulfilment among Diaspora youth who are at risk, or experiencing difficulty or crisis. During the program, the participants learn about Israel, travel around the country and meet the different faces of Israeli society. At the end of the program, they return to their communities equipped with the tools that can help them cope with life and its challenges. As part of the program, the group arrived in the Galilee accompanied by three counselors, and participated in an intensive study day that exposed them to Israeli industry and its contribution to the realization of the Zionist dream. The participants visited the Open Museum in Tefen and the Formex plant. They also took part in a challenging workshop where, using teamwork, they had to assemble a product from different components. This roused a lot of interest. Finally, they attended a lecture entitled “Where Will I be in Ten Years?” that aims to encourage participants to think about their personal future. 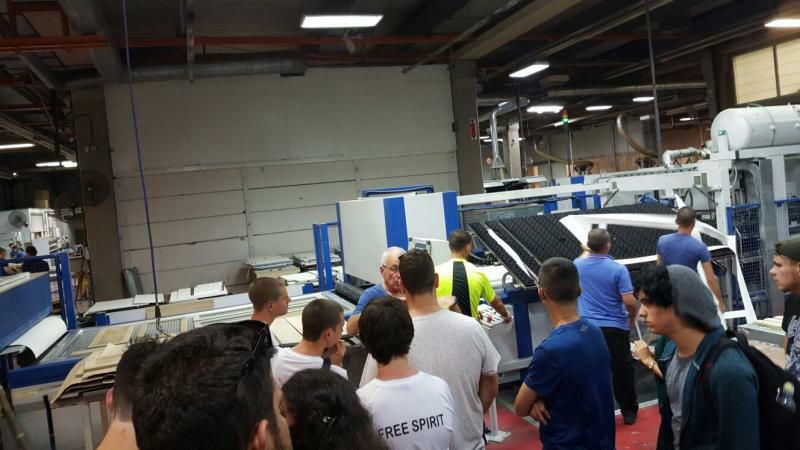 “This field trip was a great success from our point of view and enabled the participants to see and experience the power of Israeli northern industry. It also sparked thoughts regarding future employment opportunities,” says Tzahi Bilt, director of this educational program.